It’s been one hundred years since the men of that great team drove, and kicked, and threw the football on old Clark Field. However, as our new museum display at the Stark Center demonstrates, the legacy of that singular team and the men who played on it is worth remembering. For one thing, they didn’t just win—they crushed their opponents that season. Against strong schools like Oklahoma, Baylor, Rice, and Haskell—a football powerhouse in those early years—the Horns racked up 17 times more points than their opponents did, outscoring their opponents 358 to 21. Divided out over the eight games they played, the Horns averaged 44.75 points per game, a record that remained unbeaten by any other UT team until the 2005 National Championship team appeared . . . ninety-one years later. What’s more, one member of that team, Leonard “Len” Barrell, scored 14 touchdowns, kicked 34 extra points, and added a field goal for a season total of 121 points—a record that lasted until 1997, when it was broken by Heisman winner Ricky Williams. Barrell, a four-year letterman, played quarterback and halfback, and also punted and kicked for Texas. Another factor that bears consideration in understanding the singular nature of this team’s amazing record is that the 1914 players, compared to modern major college footballers, were surprisingly small. 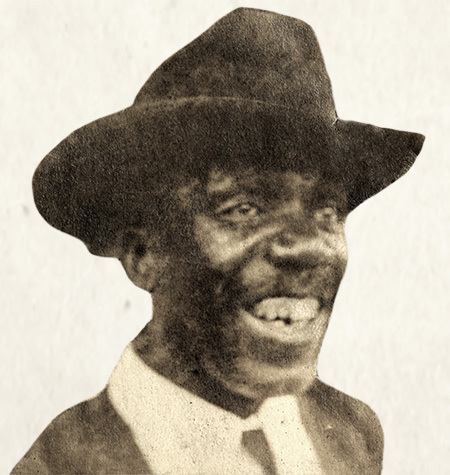 Barrell, for example, played at 146 pounds, and the heaviest man on the team–center and team captain Louis Jordan–tipped the scales at only 205, and he was heavier by 25 pounds than any other player on the team. 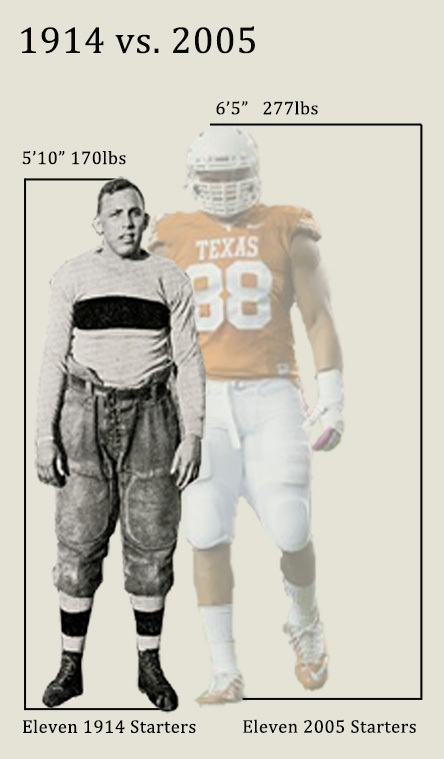 The increase in the size of collegiate players over the past century has been, well…enormous. Just how enormous—relative to 1914—can be seen by comparing the weights of the starting 1914 eleven to the starting twenty-two from the 2005 National Championship Team. Eleven starters on the 1914 team ranged from 146 lbs. to 205 lbs. and averaged 170. Eleven starting offensive players on the 2005 team ranged from 203 lbs. to 345 lbs. and averaged 277. Eleven starting defensive players on the 2005 team ranged from 200 lbs. to 315 lbs. and averaged 245. The reasons for this change include the fact that 1) modern coaches no longer run any boy who “looks fat” until either the fat’s gone or the boy is, 2) the move away from men playing both offense and defense, 3) the escalating use, beginning in the 1960s, of progressive weight training, 4) the rise in the use of anabolic steroids and related substances, and 5) better nutrition and the spread of all-you-can-eat varsity dining halls and supplements high in protein. Also, these days coaches recruit Big and encourage Big. Besides their small stature, however, the men on the 1914 team were notable in other ways as well. For example, seven of the men associated with that season would be inducted into the very exclusive Longhorn Hall of Honor: Clyde Littlefield, K.L. Berry, Len Barrell, Gus (Pig) Dittmar, James A “Pete” Edmond, Louis Jordan, Alva Carlton, Coach David Allerdice, Trainer and future baseball coach Billy Disch, and “Doc” Henry Reeves, the much-beloved African-American athletic trainer who provided medical care to the football players between 1895 and 1915. No other team in the history of the University has had so many men inducted. Although their Hall of Honor plaques on display in the exhibit provide a glimpse of the achievements of these men, what they fail to explain about them—and their teammates—is how well-rounded they were as students. Nearly all of them played at least one other sport, belonged to a fraternity, and most of them belonged to other campus organizations. Leonard (Len) Barrell, for example, also had starring roles in the University theater productions and, in 1915, was president of the campus-wide Thanksgiving Reception Committee. 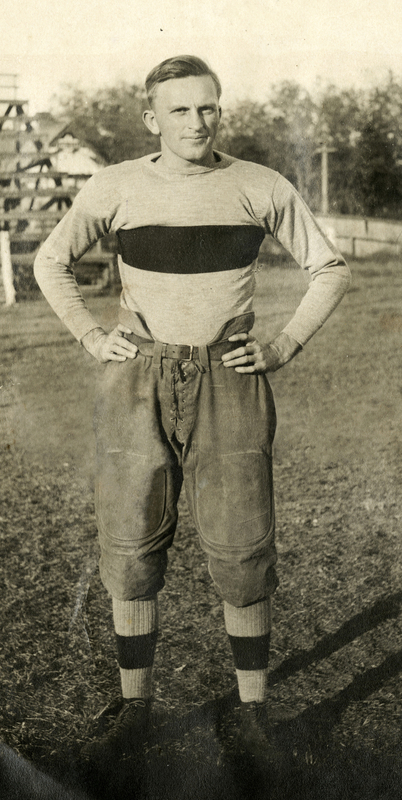 Louis Jordan, chosen an All-American by Walter Camp, was also the University’s best shot-putter and a member of the Engineering Honor Society. Gus Dittmar played basketball and served on the Student Council, James “Pete” Edmond belonged the prestigious Friar Society, and K.L Berry– who lettered in football, track, and wrestling—also served as Vice President of the UT Student Association before beginning his distinguished military career, during part of which he was a U.S. Army General. basketball, and track-and-field—and if he’d had the time he would have been a baseball letterman as well. His phenomenal career from 1912 through 1916 coincided with one of the greatest eras in Texas sport. 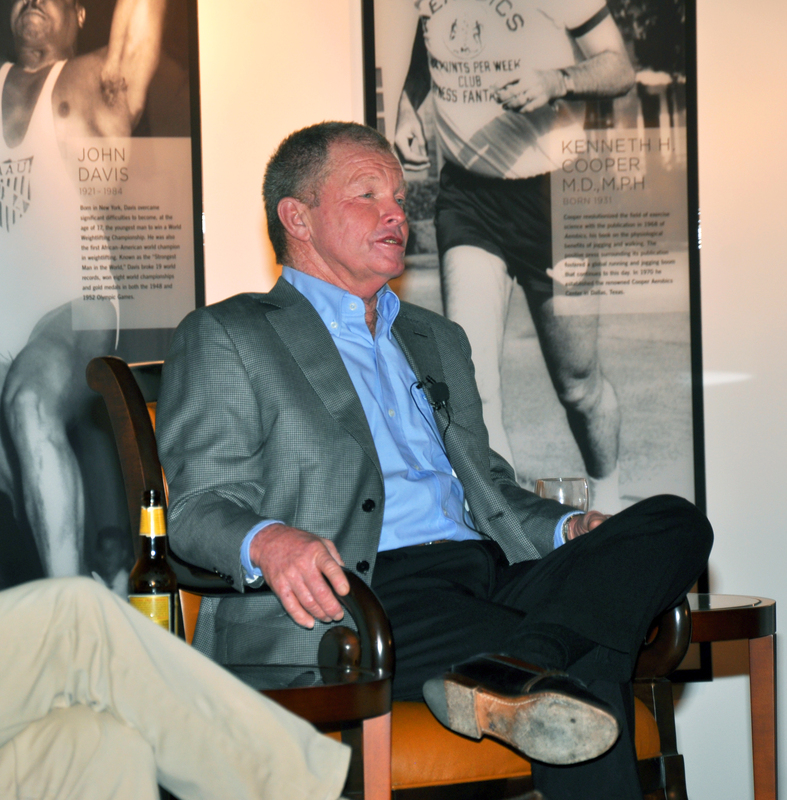 A two-time all-Southwest Conference selection in football, Littlefield played a variety of positions for the ‘Horns, including quarterback, and is credited as having helped popularize the forward pass in college football. Littlefield also played on three unbeaten basketball teams, was high point man in basketball for two of those years, and earned All-American honors. In track, he never ran on a losing team, and his specialty was hurdling, in which he only lost one race and equaled the collegiate world record (15.2 seconds) in the 120-yard high hurdles. He also won two games for the Longhorn baseball team as a pitcher. His greatest contribution came, however as a coach. As head football coach from 1927 through 1933, Littlefield won two SWC championships. However, he made a far greater contribution in track and field, where he coached for 43 years. During that time Littlefield’s teams won 25 Southwest Conference titles and featured 12 NCAA champions. In 1925, he co-founded the Texas Relays with Theo Bellmont, and developed the meet into one of the premier events in the sport. He was also a member of the coaching staff for team USA in the 1952 Olympic Games and served in many other capacities within the sport. To celebrate this legacy of excellence, Governor John Connally declared “Clyde Littlefield Day” in the State of Texas on April 2, 1963, to honor Littlefield’s many contributions to U.T. and to the greater world of sport outside the 40 acres. 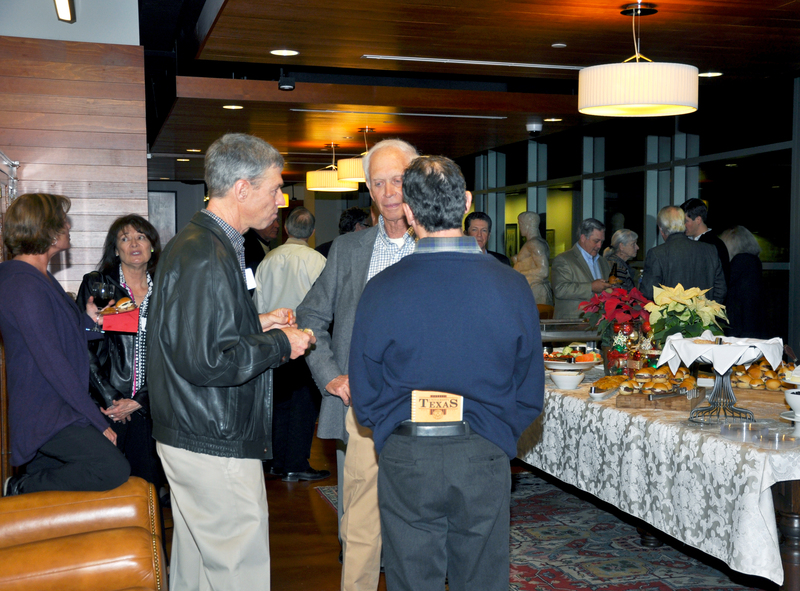 On December 10th, the Stark Center hosted a party for approximately 125 fans of Austin golf, most of whom were members of the Austin History Center Association and, as such, were also students of the history of this part of Central Texas. 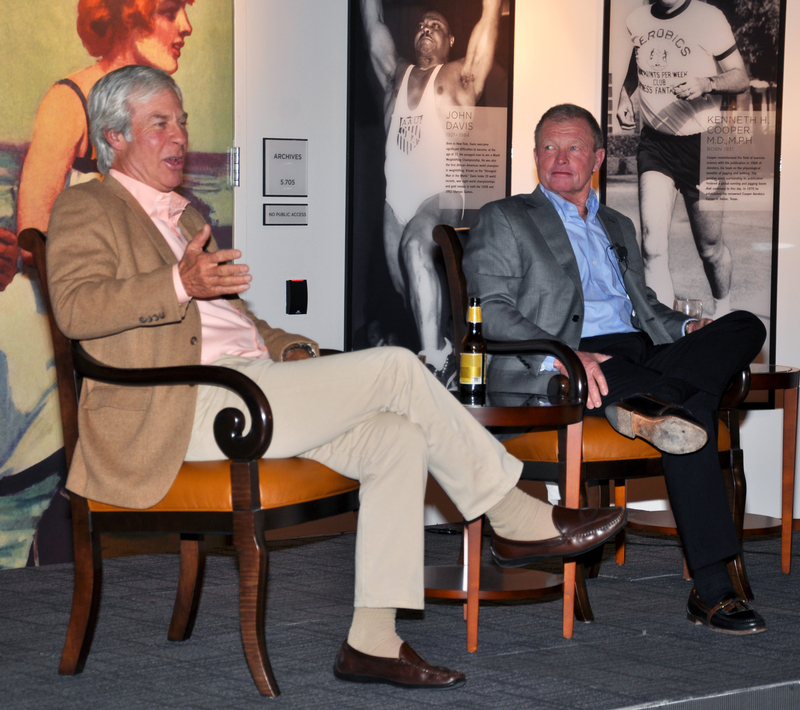 The party featured an open bar, a catered buffet, and an informal, extended interview with Tom Kite and Ben Crenshaw, two of golf’s most successful touring professionals. Although from the beginning our main research and collecting focus at the Stark Center for Physical Culture and Sports has been on various aspects of physical culture, we decided early on to concentrate on one popular sport—golf. We chose the Royal and Ancient game for several reasons. For one thing, while we were still in the planning stages of the center we were approached by the family of the late Edmund Hoffman, a UT graduate and lover of golf who had expressed that love by hosting tournaments in Dallas as well as by assembling almost 2000 golf books, many of which are rare. Hoffman’s family had heard of the center and asked us if we would like to have this singular collection. As we already had perhaps 200 significant books on the sport we invited Mr. Hoffman’s widow, Adele—another UT alumnae—and his son, Dr. Richard Hoffman, to visit us in Austin for a discussion. Following that conversation we enthusiastically agreed to accept their generous gift, which was followed some months later by a stipend of over $100,000 to support the hiring of Cindy Slater, our Director of Library Services. 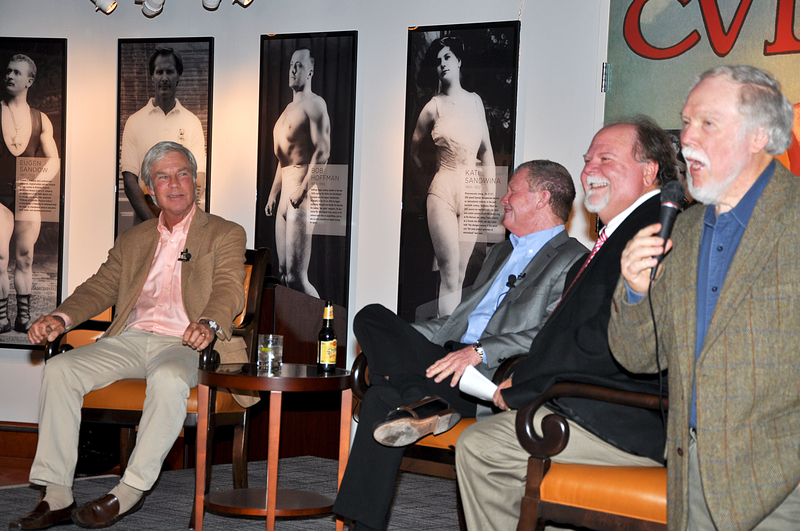 Another reason we decided to make a serious effort to collect materials related to this ancient sport was that Austin and the University of Texas are fortunate enough to lay claim to at least three bona fide golf icons—Harvey Penick, Tom Kite, and Ben Crenshaw. 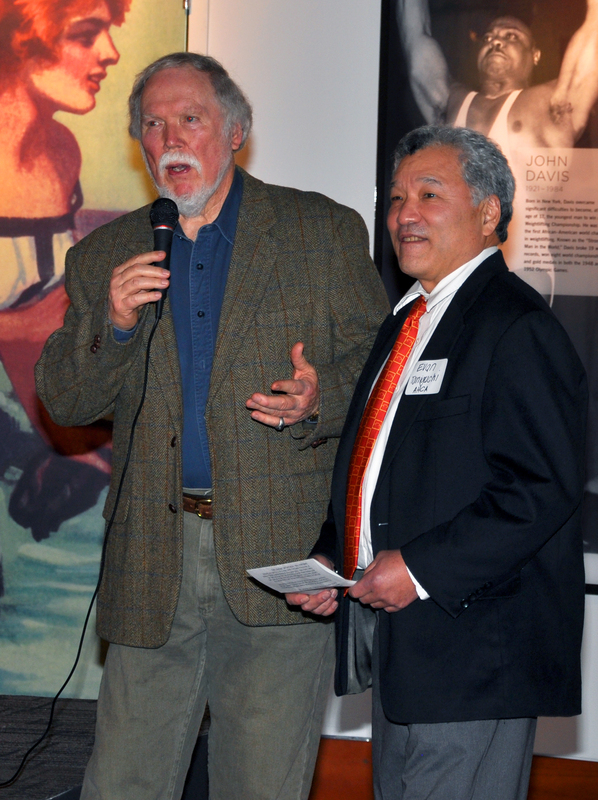 Kite and Crenshaw, of course, are among the game’s greatest players, and Penick is the legendary coaching guru who not only shepherded both boys but went on to co-author with Bud Shrake the most successful sports book in history—Harvey Penick’s Little Red Book–the original of which now resides at the Stark Center thanks to the generosity of Harvey’s son, Tinsley, himself a member of the UT golf team who succeeded his father as head professional at Austin Country Club. Harvey Penick, who was born in Austin in 1905, came to golf through his work as a caddy at Austin Country Club, and soon developed a solid game as well as a solid work ethic—traits which led to his being hired as the club’s “pro” when he was only 19. He remained the golf pro at the ACC for over 50 years, during which time he helped to develop champions including Morris Williams Jr., Betsy Rawls, and Kathy Whitworth, as well as numerous top amateurs. A third reason for our fondness for golf is that whereas most of our other major sports either tolerate cheating or even celebrate it, the Rules of Golf are universally followed by top players who routinely call penalties on themselves. Is there anything in golf comparable to teaching offensive linemen how to hold an opponent and get away with it, to pitchers doctoring baseballs, to hitters corking their bats, to boxers hitting below the belt, to basketball players intentionally fouling their opponents, to weightlifters taking prohibited substances, and so on? For that matter, who can imagine a tennis match at Wimbledon in which the two men, or women, in the final called their own lines? Or a baseball game in which the pitchers called balls and strikes. Most people give lip service to honoring the rules of sport, or bloviate about the horrors of cheating, but the days are long gone in which the shout once heard across the playing field is taken seriously, “Play up, play up! and play the game!” Except in golf. Tom enrolled at UT two years ahead of Ben. The first year they played on the same team Texas won the National Collegiate Championship, and both tied for first place in individual play. Ben went on to win the individual title twice more before turning pro and stunning the golf world by winning the first PGA Tour title of his career. “He’s the next Palmer, the next Nicklaus,” everyone said, but although Ben never quite reached those heights he recorded 19 PGA Tour titles, two Masters green jackets, became one of the Tour’s most popular players and, in 1999, he captained the US team to its historic comeback victory in the Ryder Cup. His greatest years as a player were in the 1970s and 1980s, and many regard him as the finest putter in the game’s history. Guided by a deep and abiding interest in golf history, Ben segued gracefully into a celebrated career in golf course design. He continues to hold a warm spot in the hearts of golfers everywhere for his emotional Masters win in 1995, his natural flair for the game, and his profound love of golf history—a love manifested by his 800-plus collection of golf books, many of which are old and very rare. 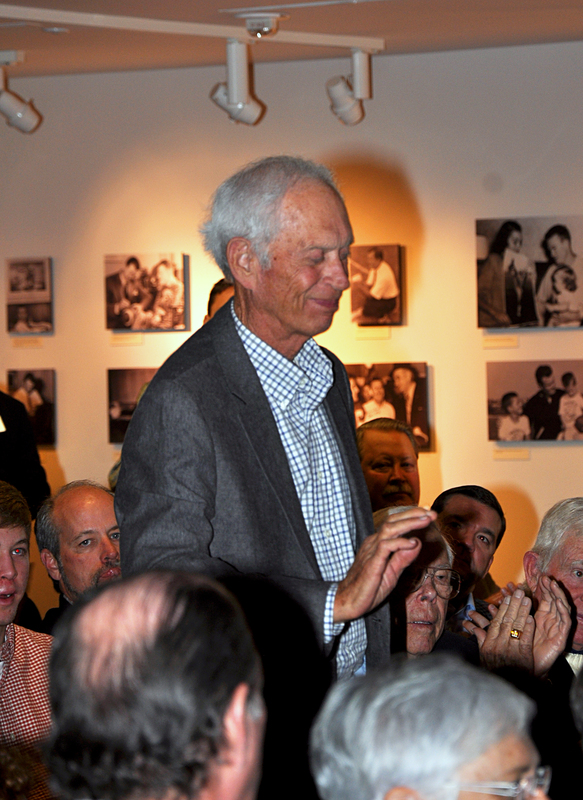 Ben is also a significant donor to the Stark Center, having placed one of his Masters trophies at the center along with his Ryder Cup Captain’s Cart, his large file of clippings and videos, and even the uniform worn on the last day of the Masters by his longtime caddy, friend, and now co-author Carl Jackson. As for Tom, he methodically moved forward after he left UT and joined the pro tour, before long establishing himself as an indefatigable competitor and frequent contender in major championships. He became the first man to earn five million dollars on the PGA Tour and followed that by reaching six, seven, and eight million dollars before anyone else. In 1992 Tom won the US Open, and eventually earned over $9,000,000 on the regular PGA Tour and more still after he reached 50, winning ten times so far on the Champions Tour. Still active as a competitor, in the 2012 US Senior Open Tom carded an unbelievable, record-setting 28 on the first nine holes, the lowest nine-hole score in history for a Senior event. Tom also made a critical—but little known–contribution to the sport back in the late 1970s. First some background. During the 1970s Diversified Products–an Alabama company that developed and marketed plastic weight plates filled with a sand-like mixture–enjoyed explosive growth and made a great deal of money. Many of the executives of DP were recreational golfers—although none of them trained with weights, ironically enough, but after a group of them went through a two-month program of heavy weight training they noticed that they were longer off the tee and that their games improved in other ways, too. This gave one of the executives, Lanier Johnson, the idea that if he could convince some of the top golfers to take up weight training it might substantially expand the market for DP weights among recreational golfers, most of whom never trained because the thinking in those days in the sport was that heavy lifting would make a person stiff and inflexible, considered ruinous for anyone hoping to play better golf. Johnson, after getting the backing of the CEO of DP, approached Deane Beman, then PGA Tour commissioner, with an offer to provide a tractor-trailer rig designed to be a mobile gym–along with drivers and two professional athletic trainers who would travel with the men’s tour and allow the players to have a private place to train and professionals to help them. Beman, a US Amateur champion and later one of the few to utilize strength training on the tour, liked the idea but suggested to Johnson that they invite a small number of golf pros who would take part in a training study. The idea was that such a training study—undergone by a group of their peers—might be the only way to convince any of the tour players to use the travelling gym. The original idea would be to entice a group of touring pros to take part in the training study, but the only willing golf pros were non-touring club pros—not playing pros on the PGA Tour. However, one touring pro—and a top pro at that—agreed to be a “guinea pig.” That man was Tom Kite. It’s a long story, but Tom took the physical, did the pre-testing under Dr. Frank Jobe at the Centinella Clinic, followed the training protocol at home using gym equipment provided by DP, and did the post-testing. 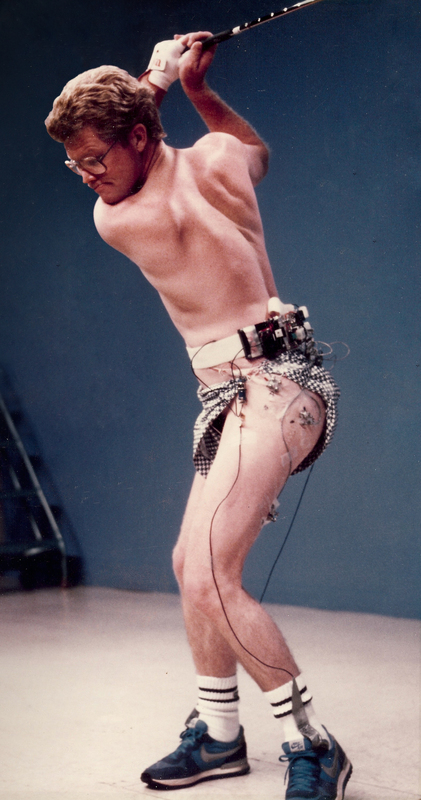 The training study—which included electromyographic analysis revealing which muscles fired, when they fired, and how strongly they fired—demonstrated, not surprisingly, that doing appropriate exercise would make a person more flexible, stronger, and more enduring. The “success” of this study—and particularly the fact that Kite was one of the subjects—convinced Beman to enter into an agreement with DP. Thus it was that a tailor-made tractor-trailer rig staffed by drivers and professional physical therapists began to follow the tour around the country. At first most players were reluctant to make use of the trailer, but some said to themselves, “if it’s good enough for Tom Kite it’s good enough for me.” And when those who followed Tom to the trailer reported positive results, more and more players came too and before long there were two trailers on the PGA tour as well as one on the Senior PGA Tour and one on the LPGA Tour. Now, of course, regular training by the leading golfers is no longer the exception, and Tom Kite—who continues to train hard and maintains the body of a fit man of 40—had a pioneering role in the sea-change seen in golf over the past 35 years. There were, to be sure, exceptional golfers who trained much earlier for strength—men like the mid-20th century amateur Frank Stranahan, who worked out like a competitive weightlifter and the phenomenal Gary Player, who came later than Stranahan but was no less dedicated to his own training regime. Even so, these men were so far ahead of their time and somewhat eccentric in other ways that their exercise programs were dismissed. Not so Kite, who with his willingness to take a chance and listen to his body was crucial to the success of an idea whose time had come, at long last, to golf—the last major sport to board the bandwagon. 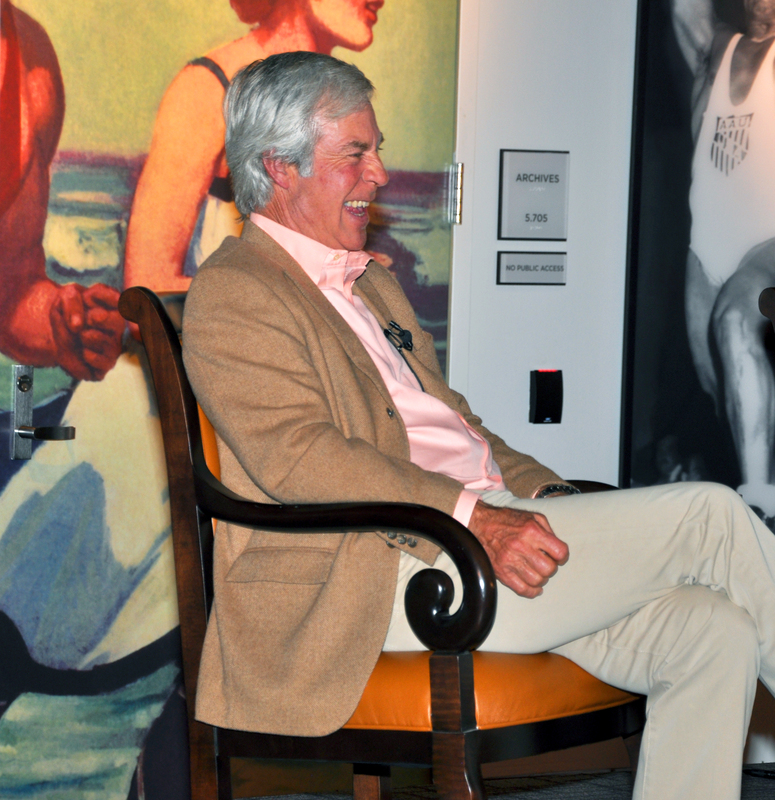 Tom Kite and Ben Crenshaw–these two singularly but differently gifted men who have been Austinites for over a half century—have had careers which are strikingly, almost eerily similar. Ben won two major championships; Tom won one, but Tom won considerably more money on the PGA tour than did Ben. But the most amazing similarity between the two is that each man recorded the same—not close to the same but exactly the same—number of official tour victories: 19. Nineteen for Tom. Nineteen for Ben. The two legends are also alike in that both have donated most of their golf memorabilia to the Stark Center, and both have cheered us on as we’ve continued to build our golf collection. 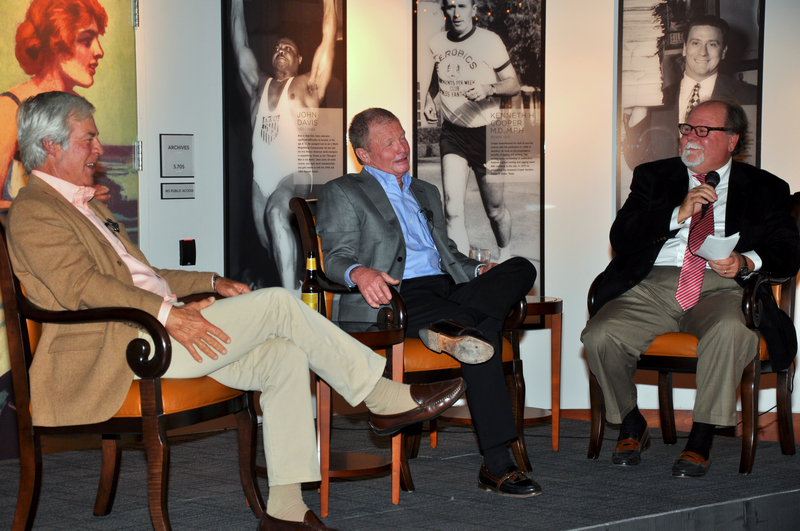 These acts of generosity speak to their character, of course, and to their love of the game in which they’ve made their living and their lives, and the reaction of the golf-savvy Austin crowd who came to hear what turned out to be a wonderfully entertaining and clearly heartfelt evening of reflection was everything we hoped it would be. Early this morning Jan and I received a call from the family of Joe Weider that he had just died of natural causes in a local hospital near his home. To say that Joe was a giant in the world of physical culture would be an understatement, and a case could be made that his reach and influence in North America during the 20th century in that broad field exceeded that of any person living or dead. This reach and influence will be the subject of an upcoming special issue of Iron Game History, the journal we began in 1990. Over the 23 years that we’ve published IGH, we’ve only devoted an entire issue to one man–John Grimek–a legendary bodybuilder and weightlifter who was one of Joe Weider’s early inspirations and a personal friend in their later years. As for Joe’s influence on the Stark Center for Physical Culture and Sports, it’s not an exaggeration to say that had it not been for the generosity of Joe Weider there would be no Stark Center. No Joe and Betty Weider Museum filled with the paintings and sculptures they collected over the years and gave to us so we could share them with the wider world. Besides the art collection, Joe pledged $2,000,000 to allow us to expand the work we’ve done at the university, and their support of our dream gave us the courage to approach The University for the space in which to build our research center and to approach the Stark Foundation for the $5,500,000 to actually build it. Joe Weider was Jewish, but he was also our patron saint. Time on the “Forty Acres” passed for Coach and me, and after two more years he’d put his team on a path toward the dominance they’d maintain over the next couple of decades and I’d decided to put down my racket and focus all my attention on weightlifting. By that time I’d grown to 240 pounds and become larger than every man on the football team but one, who weighed 245. This was only the late 50s, remember, and while I’d been assiduously doing the pulls, squats, and presses that gradually thickened my muscles the players on the UT football team were only running, doing calisthenics, running, and, of course scrimmaging and playing games—plus more running. They grew very little, of course, not having been introduced to the transformative magic of progressive resistance exercise. I could hear what Coach was saying, as I’d had a run-in with Medina myself a few years earlier when I went to see him about a back injury I’d sustained playing tennis in my sophomore year. The tennis players almost never visited the training room because we knew it was mainly for football, so when I walked in I introduced myself and my problem to Medina, who lacked two inches of being five feet tall. “I know who you are, Todd,” he said with a scowl. “You’re the weightlifter. No wonder you’re having problems with your back. Just look at you. If you keep lifting it’ll just get worse. So stop it and don’t come back with any problems unless you stop lifting those weights.” As evidence that Coach was truly leery of countermanding his head trainer, he didn’t make the change to heavy training until several years later. 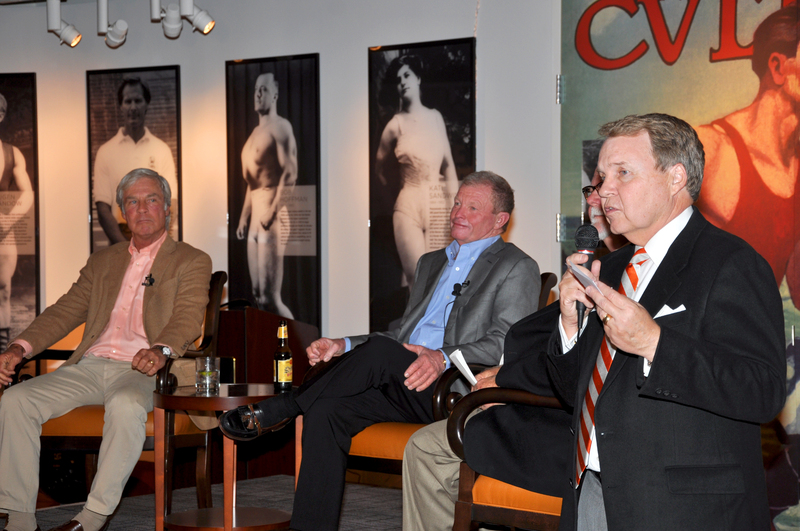 But once Coach made the move to a more modern approach to training football players the Longhorns solidified their status as a perennial power, winning three national team titles during the 1960s. During that period Charlie Craven, a young faculty member who to this day helps with the rehabilitation of injured UT players, had a central role as he gradually introduced heavier weights into the program. Finally, in 1978—shortly after Coach Royal had stepped down as Head Coach and become the Director of Intercollegiate Athletics—UT hired their first full time “Strength Coach,” Dana LaDuc. A former Longhorn field event specialist, LaDuc, who had won the national collegiate championship in the shot put in 1976, began to oversee the weight program for football with the full support of Coach Royal, who spent most of his career as a skeptic of heavy weights for athletes before he realized that, in football, “heavy” was the light at the end of the tunnel. Having grown fairly bulgy myself by 1964, I left UT in the fall of that year to become managing editor of Strength & Health magazine. I didn’t return for any length of time until 1983, when my wife, Jan, and I came back to UT and began to teach and build our library. Before I joined the faculty, I was teaching at Auburn University in Alabama and writing occasional articles for Sports Illustrated on subjects relating to strength. One of the articles—“Still Going Strong,” published in November of 1970–was a profile of the All-Pro lineman Robert “Bob” Young, who was then starring for the Houston Oilers under Coach Bum Phillips. By that time Young, at the age of 38, was the oldest offensive guard in the National Football League and, two years earlier, had become the oldest man in NFL history selected to play in his first Pro Bowl. (This transformation occurred after Young had spent over a decade as a journeyman guard in the NFL without the benefit of any weight training at all even as it had begun to be used by almost all the down lineman in the league. Finally–spurred to train by the world powerlifting titles being won by his younger, smaller brother Doug—Bob began to work heavy in earnest, and the training plus his freakish natural strength quickly transformed him into the strongest man in football as well as into what Jim Hanifan, his line coach in St. Louis, said was the best offensive lineman in the NFL.) In an odd but interesting way, Young’s college career had touched both my own career as well as that of Coach Royal and, as I was gathering information for the article, I wanted to interview Coach—who years before had won the recruiting war for Young–about his recollection of those long gone days. When I called to explain my assignment from Sports Illustrated, Coach said he’d be happy to speak to me about “Robert,” adding that his memories were bittersweet. By then Royal had retired as the Texas coach, but he retained an almost mystical reputation on campus because of his remarkable successes as well as his character as a man—a reputation he retained throughout his life and which continues now that he’s gone. When I sat down with him in his office, we exchanged recollections of those early days before the coming of weight training and of how profoundly they had changed the game itself as well as the size and strength of the men who played it. Anyway, when we got to the gym and I met Robert, my conviction grew that he had no chance at all to Push Press a heavy weight because his shoulders and upper arms showed no evidence at all of any weight training. He was, however, very thick from his chest down to his thighs—rotund and portly, like a young, well-fed bear. However, as I watched my friend show Robert how to do a “correct Push Press,” and watched Robert began to lift I went from being impressed to being shocked to being absolutely flabbergasted as the bar went up and up and up again—from 135 pounds in fairly small jumps all the way to 300 pounds. Three Hundred Pounds! I have little doubt that many seasoned lifters—especially weightlifters–will be convinced when they read the figures I’ve just written that after all these years I’ve simply forgotten. And some will think I’m trying to add to the Young Legend, since we became close friends later in life. But I saw him do it, and I’ll never forget it. I should add that there was no “pressing” at all in Robert’s Push Presses. He simply took the bar off of a squat rack, stepped back, bent his knees and then drove the bar overhead so fast that it never slowed down until it was locked out overhead. Perhaps more amazing, Robert never lost his balance. Later, as I thought about what appeared to be a miracle, I realized that Robert had such prodigious explosive power in his legs, hips, and body that they drove the bar over his head and such precise coordination that he could balance and control his body like a seasoned lifter. After having seen what he could do, I did everything I could to convince him to begin heavy training. I even promised I’d pick him up at his dorm, take him to the weight room, and take him back again. But although he went with me a couple of times he was just too interested in sleeping late, eating huge meals, and leaving his dorm in the early evening focused on fun. But both Coach and I knew a puredee phenomenon when we saw one. Here’s how I see this story. Edith understood that even after the passing of the three decades since he emptied his filing cabinets—and even with the late onset of Alzheimer’s disease–Coach would be pleased to know that some of the countless photos taken of him, his friends, and his family would wind up in a facility dedicated to sports and fitness. However that might be, last summer Jan and I drove to the Royal’s beautiful condo overlooking the Hill Country, boxed up those 29 albums, carried them back to UT, and put them in a safe, secure, and climate-controlled part of the Stark Center where they’ll remain until later this year when we mount a photo exhibit featuring this wise, charismatic man who during the 20 years he coached football here had the best record of any man in the country; the respect of US Presidents; and the friendship and love of rowdy, whisky-drinking singers and and songwriters like Willie and Waylon and Jerry Jeff—artists who paid that love forward by sharing the stage with and befriending the long-haired, dope-smoking , creative harbingers of a changing world and, in the process, laying the groundwork for what’s now known from Belgrade to Borneo as the live music capitol of the world. The foundation of Coach’s fame flowed from his dominance in one of the most violent of sports, but early on he understood that everybody deserves to be treated with respect and that we’d all be better off if we’d just let one another be. One of the many things which speak to Coach’s character is his often-repeated admission that he should have integrated his football team sooner than he did. No one forced him to admit it. But he owned up to it even so, just as he admitted to me a half century ago that when he watched Billy Cannon light the grass on fire he knew that what his coaches had taught him and what he’d taught the players about lifting heavy weights was dead wrong. I felt honored that Coach called me in for a talk that day and I felt honored to share the truth my body told me. Now that he’s gone on ahead—and thanks to Edith Royal’s saving grace–I’m honored to have such a rich photographic record of their life together and honored to have it here, in a stadium which bears his name. 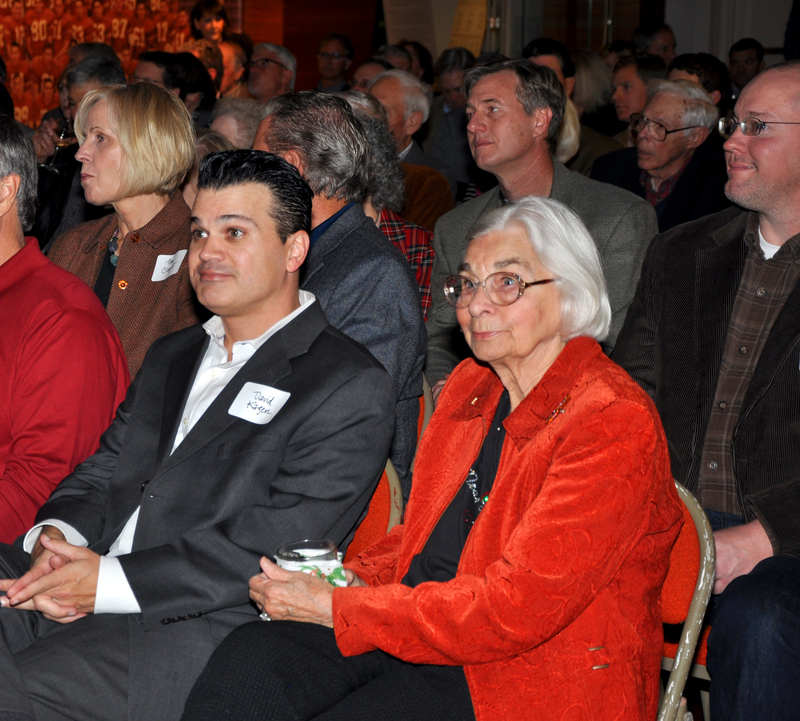 In 2008, Joe and Betty Weider donated a second million dollars to the H.J. Lutcher Stark Center for Physical Culture and Sports at the University of Texas, and as a way to thank the Weiders for their many contributions to the fields of exercise and health as well as for their financial support to the university, The Joe and Betty Weider Museum of Physical Culture was established within the Stark Center. In addition to the million dollars, the Weiders also gave almost all of their personal art collection relating to the field of physical culture. A small part of that collection came to the Stark Center at that time, and just this week a larger part of the Weider Collection arrived at our facility. This most recent gift consisted of the remaining five portraits of prominent bodybuilders painted by the late Thomas Beecham. We already had the portraits of Franco Columbu, Lee Haney, and Larry Scott, and they’re now joined by the larger-than-life-size images of Arnold Schwarzenegger, Lou Ferrigno, Frank Zane, Dorian Yates, and Rick Wayne. In addition to the famous portraits in the Beecham Series, we received a bronze bust of Eugen Sandow dressed as the prominent businessman that he was, a bronze from the early 20th century of a gladiator, and a gold-plated enlargement of the Sandow pose used for the “Olympia” trophies. All of these pieces came with the same marble bases on which they were displayed for many years at the Weider Building. The most significant addition to the Weider Museum is a painting of Eugen Sandow as a Roman gladiator done in 1893 by the well-known artist Aubrey Hunt. Approximately 8’6” high and 5’6” wide and in an elaborate frame, the portrait depicts Sandow’s entire body as he stands near the center of a coliseum dressed in a leopard-skin and wearing Roman sandals. Although not a particularly accurate representation of Sandow’s physique and bodily proportions, it is nonetheless definitely the nonpareil himself. The Hunt Sandow has hung high on the wall for many years in the entry hall of the Weider Building as the featured painting in the collection, and it will be the featured painting in the Weider Museum here at UT as well. This unique portrait has had a long and interesting back-story and in our next issue of Iron Game History David Chapman, author of the definitive biography Sandow the Magnificentwill discuss this majestic, significant, and striking work of art. It would be hard to overstate our gratitude to the Weiders—Joe, Betty, and Ben Weider’s son, Eric, who now serves as the C.E.O. of Weider Enterprises—for their ongoing willingness to share with the wider world the treasures as well as the treasure the family has collected and earned over the years. I believe that Jan and I speak for fans and students of physical culture everywhere when we send a thousand thanks to the Weider family for what they have done and are still doing for the iron game in general and for UT in particular. The main point of today’s post is to announce that we have just placed on our Stark Center Research Page a digitized, searchable version of one of our most important documents—the almost 600-page scrapbook owned for decades by George Hackenschmidt, the World Wrestling Champion during the early part of the 20th century. The entire scrapbook is included on our site, and it is very gratifying to the Stark Center team to be able to make this unique artifact available. The H.J. 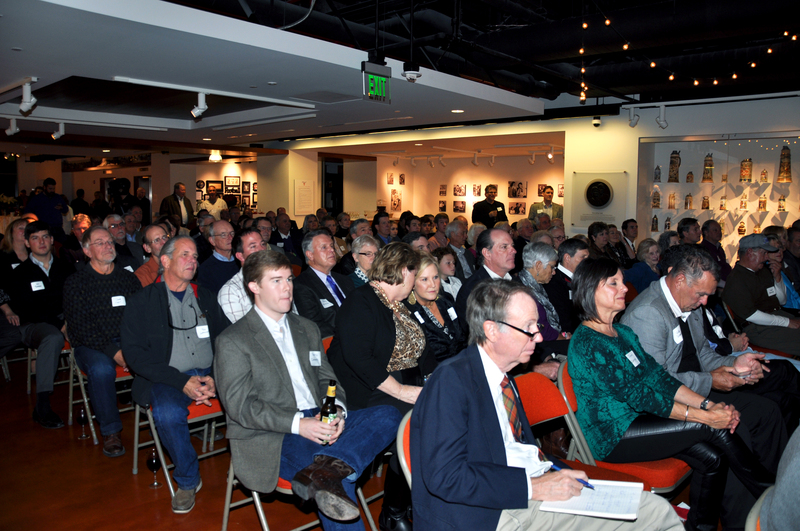 Lutcher Stark Center for Physical Culture and Sports is pleased and even a bit proud to have played a role in attracting the annual conference of the North American Society for Sport History to the University of Texas at Austin. Based on the latest projections, approximately 210 sport and physical culture historians will spend three full days in Austin giving papers, hearing papers, attending meetings, and enjoying the fellowship of like-minded folk from North America as well as the wider world beyond. What’s more, quite a few of the people coming to the conference are either coming early or staying over a few days the following week in order to use the resources of the Stark Center for research. Update: Exhibit Closed. Click here to see our current exhibit. Following a month of complicated negotiations, the Stark Center is very pleased to announce the opening of a major traveling exhibit, which will be the inaugural presentation in the Joe and Betty Weider Museum of Physical Culture. Because of unanticipated hold-ups with the construction of several permanent displays for the Weider Museum, we decided to join forces with the owners of an exhibit–OUR BODY: The Universe Within-as a way to bring visitors to the Center, generate revenue, make use of the beautiful museum, and fulfill our mission of sharing knowledge about the history and importance of physical culture. One of the long-held dreams Jan and I have had for the Stark Center has been to share our materials—many of which have been given to us for that purpose–with the wider world of scholars and fans of physical culture and sports. For almost 30 years we’ve done that primarily by working personally with people who came to Austin to use the collection, although as time permitted we’ve also assisted people (who couldn’t make the trip) with research questions. However, now that the library side of the H.J. Lutcher Stark Center for Physical Culture and Sports is operational, we’ve turned our attention to the process of making some of our holdings available as digital resources by scanning them so they can be viewed on-line and through the creation of “finding aids.” (A finding aid is a catalog and description of a collection used to assist scholars in planning a research visit.) Today, we’re launching a Research page on our website–a portal to these new digital resources. I suspect that you’ll find them just as amazing as I do. Since the general oversight of this aspect of our work at the Stark Center has been Jan’s responsibility, what follows is her explanation of how this has come about. In 1987, Jan and I acquired from the legendary Sig Klein a number of artifacts which had been in the Klein-Durlacher family for a very long time. Those artifacts included a copper-headed walking cane bearing the name of Professor Attila, which was the professional or “stage” name of Louis Durlacher, who taught Sandow much of what the famous strongman knew about strength and, especially, stagecraft. After he had helped launch Sandow’s career Attila left Europe and settled in North America in 1893. Another “Attila” artifact was a satin-smooth wooden wrist-roller Klein told me the Professor had brought from Europe. Much more significant, of course, was the remarkable scrapbook documenting the Professor’s long and successful career as a strongman and, later, as the owner of what for a time was arguably the most famous gym in the United States. The scrapbook has been scanned in its entirety, and will be made available to visitors to our website within the next couple weeks – check back soon for more information. Even more significant, in the minds of some iron game experts, was the gilt-framed oil painting of Attila supposedly painted in 1887 by a “court painter” who did portraits of members of the royal family. The story I got from Klein, who got it from the Professor’s widow, was that one or more of the “royals” was grateful to Attila for the work he had done as a personal trainer and so he commissioned a particular court painter to produce a portrait of Attila as a present. In any case, the painting had come down to Klein and his wife (the Professor’s daughter Rose) and it was one of the very few things that Klein didn’t sell when he closed his landmark gym in Manhattan in the mid-1970s. The most recent of these periodic submissions provided some detail about how pleased we were to have picked up on our recent road trip what we believe is the very first power rack ever built/invented—a rack built in the 1940s in the cellar of Bob’s farmhouse along a creek in the beautiful rolling hills of East Tennessee, outside of Johnson City. This posting will be very brief, but when a member of the staff here at the Stark Center came across last week an envelope containing a number of photos of Bob Peoples and some of his training gear nothing would do but to share some of them with the few, but stalwart, readers of this blog. The photos in question are part of the Peary and Mabel Rader/Iron Man Photo Collection, and it was a real case of serendipity to come upon it less than a week after we brought to the Stark Center the very rack depicted in several of the photos. The photos were obviously sent to Peary Rader by Bob Peoples in regard to a story in Iron Man, and perhaps someone who reads this will remember from the photos when that article appeared. Should this happen, I’d appreciate having the citation as I haven’t taken the time to search through my back issues of that wonderful old magazine. I’ve seen some of these photos in Iron Man in the past, but certainly not all, and although I’m not going to include all of them today it was impossible not to call attention to the coincidence of finding the photos just as the famous rack arrived in the center. I’ve written extensively in the past about the many contributions Bob made through the years to training theory and equipment, and although I’m not going to rehash this information now, it seemed appropriate to share with readers/viewers some of these historic, eye-opening training devices. Jan and I returned last night from a ten-day road trip that was one of the most interesting and rewarding we have ever made. The trip originated when Mark Henry and his wife, Jana, told us that the birth of their second child was scheduled for the morning of December 30th in New York City and that they’d like for us to be there just as we were for the arrival of their son, Jacob Todd Henry, who arrived four years and two months earlier. Accordingly, we booked plane tickets, but as we thought about the trip we began to wonder if it might be better for us to drive up to New York so that we could also drop off a large collection of nitrate-based films and film-clips in the New York area for restoration and transfer to a DVD format. Readers might wonder why we couldn’t just ship the films with our luggage, but the reason is that nitrate-based film is considered hazardous material and, as such, cannot be shipped without special permits and very expensive packaging. In addition to our need to get the films to New York, we also realized that after the birth of Baby Henry we could drive from the New York City area over to State College, Pennsylvania, to pick up the books, files, and papers of Dr. Charles Yesalis, a prominent researcher in the area of anabolic/androgenic steroids who had recently retired from the faculty at Penn State. Probably the most widely-quoted steroid expert over the past 20 years, Dr. Yesalis had told us a month or six weeks ago that he wanted his collection to be housed at the Stark Center, and that it would fill about 40 “banker’s boxes.” What’s more, we thought, if we drove up in a truck there were several other items in the northeastern and eastern U.S. that we might be able to collect either going there or coming home. In earlier blogs, several photos of Mark Henry have appeared and Joe Roark, the creator of a fascinating and authoritative forum-IronHistory– suggested that some sort of measurement of Mark’s shoulders should be made as it appeared that he might have the broadest shoulders on record in the iron game. Mark, not Joe! No laughing. Anyway, since Mark was in town yesterday for a brief visit I prevailed on him to drop by the Stark Center so we could make an attempt to measure his shoulder-width. As a thoughtful person might imagine, getting an accurate shoulder-width measurement isn’t easy because—for one thing–it’s important to place any measuring device neither too high nor too low on the deltoids. An inch too high or an inch too low can make a significant difference. It’s also important for the arms to be held against the sides and not flared out by a flexing of the lats and the related shoulder-girdle muscles. Since we have a device here at the Stark Center that David P. Willoughby used to measure shoulder-width I hoped to use it, but it was too narrow. Undaunted, foraged through our work-rooms and found two straight pieces of wood, placed them at what I thought was the appropriate place on Mark’s shoulders. For my part, I attempted to keep the pieces of wood parallel to each other as Mark stood against a wall, held his arms straight, and placed his palms against his thighs. I actually believe that the pieces of wood which touched the wall were a bit closer together than they were when they were touching Mark’s shoulders. I tried not to fudge the measurement so that his shoulders would seem broader than they actually are, and in that effort I was pushing the sticks against his shoulders tightly—perhaps even depressing the flesh to a small extent. One of the most important gifts the Stark Center for Physical Culture and Sports has received over the past several years came to us from Doris Barrilleaux, a Florida great-grandmother with the energy level of a hyperactive hummingbird. What she gave us was her very large and invaluable collection of correspondence, magazines, posters, videotapes, audiotapes, and many thousands of photographs. Without question, the Barrilleaux Collection contains enough raw material for ten doctoral dissertations, and we hope to see at least one fairly soon. One of the most wonderful aspects of the gift of the Barrilleaux collection is that Doris, who’s a whiz with computers, digitized virtually all of the rare primary documents she’s gifting to us. It took Doris approximately six months of long days to meticulously scan every newspaper article about herself, every magazine article she wrote, every photograph of hers that appeared in a magazine, and most of her correspondence. Visitors to the Stark Center will be able to quickly access her collection because of the organizational work she did; it was an enormous effort for her –and we at the Stark Center are deeply grateful to her for this tremendous gift to generations of future scholars. Last week, the Stark Center was involved in two functions involving the Board of Regents of the University of Texas System. Those functions may prove to be very important to the future growth of the Center. This is so because the Board of Regents (BOR) governs more than 200,000 students and 84,000 employees spread across the sixteen campuses in the University of Texas System, including U. T.-Austin, the system’s flagship institution. How these functions came about is that someone on the BOR apparently heard about the Stark Center and asked us to make a formal presentation to the BOR about Lutcher Stark, who served on the Board of Regents for 24 years, and was Chairman of the Board for 12 years. We agreed, of course, and so a member of the BOR’s staff came to the Stark Center to talk about the presentation. During that visit Jan gave the staff member a tour of the finished as well as the unfinished parts of the Center and the staff member liked what she saw. Several weeks later she brought another staff member for another look, and these two visits led the two staffers to propose to the Chairman of the BOR, James Huffines, that the Board have a reception and tour at the Stark Center the evening before our formal presentation. We were told that after looking at photos and learning more about the Center, Chairman Huffines decided that the Center would probably be of interest to the BOR and that such a tour and reception should be scheduled. Accordingly, we stepped up the pace of our preparations and tried to make the Center look as good as we could in the time we had. As last Wednesday night approached, the BOR sent teams of party planners, caterers, and florists to decide how best to accommodate the approximately 150 guests we expected to have. Finally, the night arrived, and we’ve chosen a few photos to illustrate how things looked. Several blogs ago, I provided some information as to why we use the term “Physical Culture” in the name of our research facility—The Lutcher Stark Center for Physical Culture and Sports—and why we’ve used the term for 20 years in the title of our journal—Iron Game History—The Journal of Physical Culture. A number of emails arrived with comments about what I’d written, and I thought I’d use one of those emails as a springboard to expand the conversation and to share with readers how one thing can sometimes lead to another, better thing—“paying it forward,” as they say. In any case, here’s the email with a bit of information on an unrelated subject edited out or, as it’s called in some circles, redacted. The first time I heard the term “Physical Culture” was during our first conversation. It was Saturday, July 19th, 2008. The term struck me so hard that I commented on how much I loved it and you then gave me (as you did and still do with many historical events) the origins regarding the term. Understandably, we had a lot to cover, and we didn’t get into the reasons why the term fell out of favor. It’s now almost 12:00 am Saturday and after reading your recent blog about Physical Culture, now I know the reasons. You and your team’s experience, knowledge, and instinct to maintain the term is inspiring and teaches a lesson: if you feel strongly about something even though it might contradict the normal standard, rules, policies, practices, protocols, or whatever–if you feel that passionate–never compromise. Apologies for returning to the same subject as the one used in the previous blog, but our 10-16-09 visitors were so unexpected, so diverse, so prominent, and so interesting that I ask for your forbearance as I briefly (for me, anyway) recount who came, why they came, and what happened. It all got started when I received a call on Wednesday from Joe Hood, a local doctor I’ve known for over 30 years now. Joe is a genuinely unusual man with one of the most remarkable memories I’ve ever seen in action. He was also a very gifted strength athlete and he held the national record in the deadlift for quite a few years with 788 pounds in the 220 pound class of the American Drug-Free Powerlifting Association. Hood says, and I believe, that he’s lifetime drug-free, and his best-ever lift at that weight was 793 pounds, exactly the same weight as the famous lift attributed for many decades to Germany’s Herman Goerner. Goerner, like Hood, also weighed 220 pounds and stood 6’1”. Eerie. In any case, I was always pleased by the physical symmetry of these two men and by the symmetry of their records—one made in 1920 and the other made 65 years later. Both men at their best were unusually broad-shouldered and relatively narrow-hipped, both had thighs which were a bit on the short side for their height and arms which were a bit on the long side, both were not particularly thick from front to back, both were drug-free. For all these reasons, I was somewhat dismayed to learn—thanks to the research of Gherardo Bonini, Mark Kodya, and Joe Roark, which was published in 2006 in Iron Game History, the journal we produce under the auspices of the Stark Center—that the historical record doesn’t support the claims made by Edgar Mueller and other authorities about Goerner’s 793 pound deadlift. In the case of Joe Hood’s lift, of course, it was made in public, in a sanctioned powerlifting contest, and on a bar used by many other lifters. Now that we’re at least partly open and thus able to show people around, we’ve been having visitors to the Stark Center. Sometimes the visitors are expected; sometimes they’re either not or at least not expected in the particular way they come. For example, just over a week ago I was very surprised as I walked past the elevator lobby where our full-size copy of the Farnese Hercules is displayed. What surprised me was that approximately 40 UT students were either sitting on benches or the floor or just standing in front of the immense, slowly-turning statue. They were not talking and they were not moving around. They were, in fact, quite still—as if they were at a religious service or a funeral. That there were students looking at the Hercules was not what surprised me, however, since we’d been visited a few weeks earlier by a Professor of Art History who expressed his delight that the Stark Center—which is directly across the street from the Art Department—had on display a half dozen copies of classical statuary (discussed in an earlier blog) as well as the rotating giant standing hard by our outermost window. “I’m going to assign my students to come here and look at these wonderful statues,” the professor said, and in a week or so I began to see a student or two or three sitting quietly in our lobby and taking an occasional note. When I sat down by one of these first visitors, who was there alone, I asked him what his assignment had been and he said that the professor had instructed the class to spend at least 30 minutes contemplating the statues and to write down what they thought about what they were seeing. The student said that the professor explained that he wanted their hand-written first impressions and not something they typed after the fact. Today, as I was showing a rent-house of mine to a potential tenant I noticed and then pointed out the built-in mission-style, glass-fronted bookcases on either side of the fireplace. I mentioned that those bookcases—built by my paternal grandparents and used by them as well as by my father and my Uncle Walter—were the birthplace of my lifelong fascination with books, with reading. Not only the information in the books but the books themselves—their feel, their look, their smell, and their heft. Once I realized that books were the keys to many kingdoms, they soon held me in their sway and became, over time, as real to me as my schoolmates and, usually, were much better company.